Day 4: Bronzer! Now I was never really into bronzer that much until about a year ago when my mum appeared downstairs looking lovely and sun kissed and declared it was all down to bronzer! Now, my favourite bronzer is the Clarins bronzer, but my mum has since stolen that and used it all up so I don’t have mine to show you unfortunately but I did find a picture of it online. 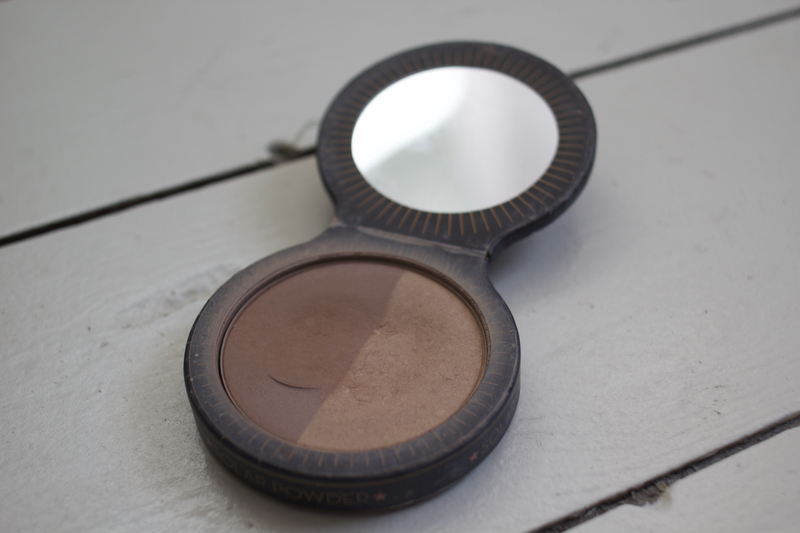 It’s a lovely two-toned bronzer and gives a great colour pay off. I had a small version of this as a gift with purchase and that literally lasted a lifetime (that is until mum nabbed it!!!). The full size does retail at £29.00 though, which I can’t say I would be too happy to spend on a bronzer! 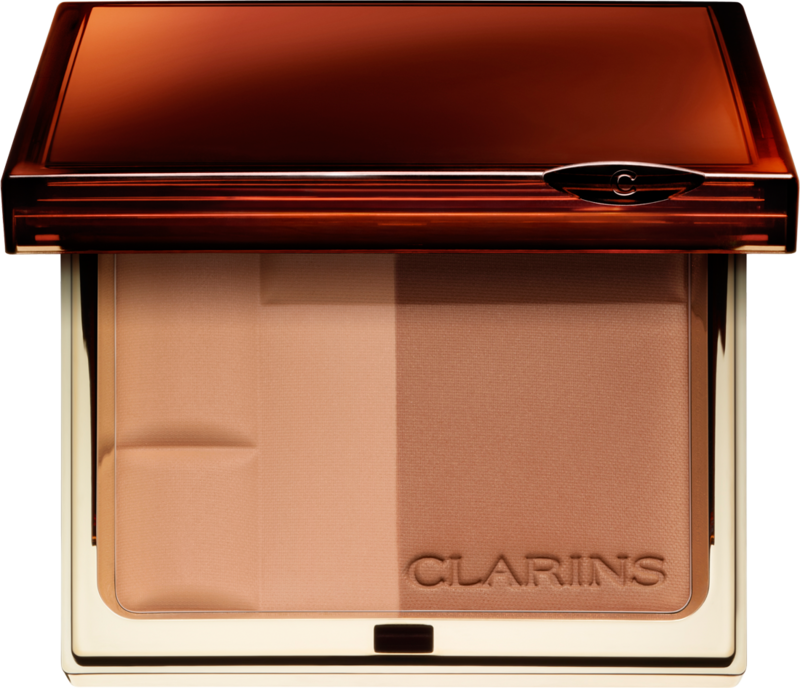 Along the same kind of lines as the Clarins Bronzer is the Soap and Glory Solar Powder which is a lovely all year round bronzer for my pale skin as it is not too harsh or orange! It’s cheap! It retails for £11 and is pretty much always on 3 for 2 at Boots! For those of you who don’t know, Soap and Glory is a Boots exclusive brand so you can only really get it there or on the soap and glory website in the UK! 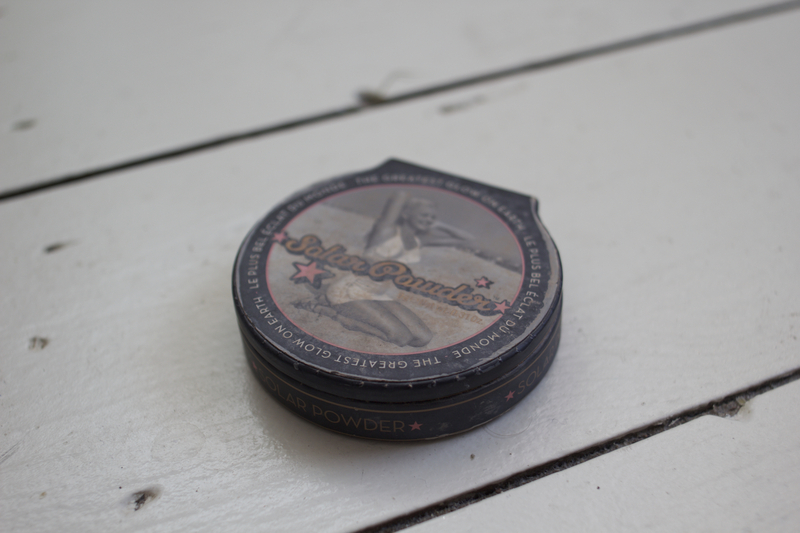 A bronzer post would also not be complete without mentioning Benefit Hoola Bronzer I love that stuff! It really does give the skin a fantastic sun kissed look. I have this product in a AMAZING palette that I will be posting about in a few days time as part of this tag so keep your eyes peeled for that. It is just beautiful! What are your favourite bronzers? Are you enjoying this challenge so far or have you decided to do it yourself? Leave me any good bronzer suggestions below that would be good for quite fair skin but aren’t orange!! Top Bathing Products That Do Good AND Smell Good! Agh, that’s another brand I’m desperate to try! Particularly the brow whiz! Love the Soap & Glory bronzer! I love the NYC Sunny and Jouer in Suntan for bronzers. Very natural looking on the skin!